If the biblical account of creation is literally true, then the creator is maliciously lying in the great book of nature, which plainly says otherwise. If it is not literally true, then literalists are in error in their hermeneutics. So literalists have a choice; admit their hermeneutics are mistaken, or call God a malicious liar. I approach this entire area with diffidence. 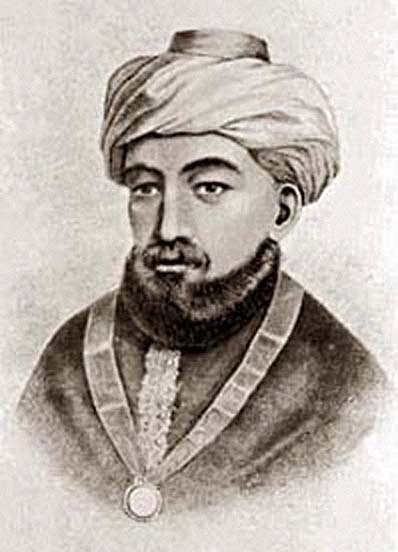 I was at one time a believer, but always regarded literalism as bone-headed on internal evidence (Maimonides, of course, had made the same point nearly 900 years ago). I am prompted to post this comment because believers whom I respect have found it helpful, and because I regard all those committed to accepting the evidence of things seen as natural allies, however much we may differ on things unseen. I therefore wish to distance myself from those, at both ends of the spectrum, who regard the most bone-headed versions of the Abrahamic religions as for that very reason the most authentic. The rate of change of scientific hypothesis is naturally much more rapid than that of Biblical interpretations, so that if an interpretation is founded on such an hypothesis, it may help to keep the hypothesis above ground long after it ought to be buried and forgotten. Or even, as in the case of the creationist’s “types”, lead to a hypothesis being resurrected in total defiance of the evidence. The 2006 edition of Numbers’ book is an update of the original referred to in the opening paragraph. I would also draw attention to Scientists Confront Creationism, Petto and Godfrey, eds, 2007, in which Numbers covers the same material in a more manageable 27 pages, and includes valuable essays by Massimo Pigliucci, Eugenie Scott, Brent Dalrymple and others on the historical, scientific, philosophical and pedagogical context. Herald 23 November: Scotland’s culture war: secularists and church head-to-head. A wide-ranging review by Judith Duffy. Herald 24 November: Unnamed EIS spokesperson(s) condemn our petition. Herald reporter once again confuses the teaching of separate creation (the subject of our petition) with the idea of God as Creator, discussion of which which we explicitly defend. Herald 1 December: Letters; Bob Downie reiterates support for keeping religin, science separated. Garry Otton repeats scope of petition. 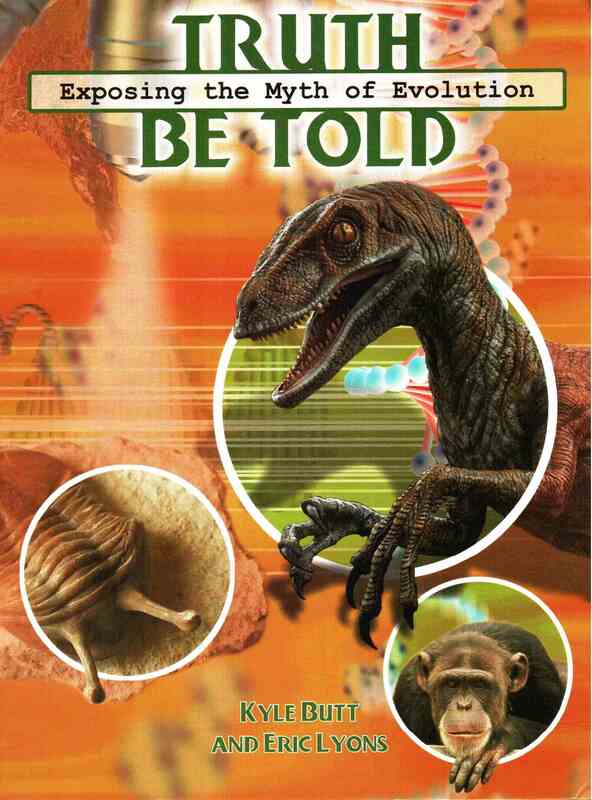 Over twenty years ago Ron Numbers published his excellent book The Creationists. There he traced the roots back to the Seventh Day Adventist in the late 19th century and not before. The book dispels many myths about creationism but many still hold these myths and assume that creationism was the position of Christians until challenged by scientists. A few years in the magazine of the Geological society of America GSAToday Dave Montgomery of Seattle gave an excellent short account of the history of Creationism. http://www.geosociety.org/gsatoday/archive/22/11/pdf/i1052-5173-22-11-4.pdf It is well worth using as a summary. Following all recent scholars like Ron Numbers he traces the roots of YEC to about 1900 in the Seventh Day Adventist church, rather than presenting the view that it is a re-incarnation of 17th century ideas. He rightly emphasises that Calvin and Steno were “young earthers” due to limited knowledge rather than a doctrinaire stance. Michael Roberts: A mixture; geologist, Christian, priest, cyclist, mountaineer, heretical environmentalist(i.e. a Bright Green) , retired, historian of science and a few other things. Oh, and I don’t like creationism! A historical, scientific and doctrinal skewering. Over a decade old but still, alas, as topical as the day it was written. The epidemiology and manifestations of that 20th century plague, mendacious pseudoscientific creationism, Young Earthism, and evolution denial. I make no apology for this being over a decade old as it was written in response to the problems at Emmanuel College Gateshead in 2002. Most of the issues remain with the same perpetrators. Early in March 2002 the story broke that Emmanuel College, a state–funded Christian City Technical College in Gateshead, Newcastle on Tyne was teaching secondary school children that the earth is only 10,000 years old. Richard Dawkins and Steve Jones, were quick to condemn the school and some in the Church of England have joined in. Herald 12 Nov Religious extremists infiltrating schools: This otherwise excellent article includes the statement “Creationism is the belief that the universe and living beings originate from acts of divine creation.” Not in this context. Our petition specifically refers to separate creationism is opposed to the established science of evolution. Although our opponents pretend otherwise, it has nothing to do with religious or philosophical positions regarding creation as a whole. Herald November 21, reports on Ken Cunningham, Secretary of School Leaders Scotland, and his submission in response to a request for comment from the Petitions Committee. My comment: Not Head Teachers; one ex-Head [in consultation, he later claimed, with the Association’s presidential team, whoever they may be] speaking for all his members with no further apparent mandate from his Association’s membership. And Cunningham and Noble [Director of the Centre for Intelligent Design, whose plans to promulgate creationism are a major matter of concern to us] are not as reported both members of the Free Church of Scotland; they are Elders (Cunningham also Secretary) of the same small independent Church, Cartsbridge in Busby, with a total membership of around 250; a much closer association. Denholm messes up on “creation” again. 21 Nov, The Centre for Intelligent design warns those on its mailing list: Government to impose Scientism on our children (no link available). So now you know. The Centre regards evolution science and the study of the age of the Earth as forms of Scientism, whatever that may be. See also commentary “Creationist Manoeuvres in the Dark” by Spencer Fildes, who has done more than any one of us to unmask the concealed connections. Herald, November 22: In response to Spencer’s remarks to the Herald on November 21, the Reverend David Robertson accuses us of a McCarthyite campaign and anti-religious paranoia. Herald 23 Nov:” Scotland’s culture war: secularists and church head-to-head.” A wide-ranging review by Judith Duffy. Herald, 16 Dec: Government response. Spencer and Paul B comments. but facing it on the next page http://www.heraldscotland.com/news/education/call-for-debate-on-religious-privilege.26133800 has SNP Councillor Sandy Howat questioning, on behalf of many SNP members, creationist teaching, opt-out rather than opt-in Religious Observance, and the presence of unelected representatives of religion on Council Education Committees. which I got from Michael Roberts who got it from Jerry Coyne’s WEIT (Why Evolution Is True), which remains one of my favourite books on the subject; I don’t know where WEIT got it from. I’m told there’s a copyright smoothed out Daily Mail version; this is not it. But some of the camera angles are amazing. I have recently visited two very different sites where time is turned to stone, where just looking at the rocks shows the passage of enormous lengths of time, dwarfing all of recorded human history. At the first site, the rocks I was looking at were ancient sediments, with the clearest possible evidence of prolonged interruption. In the second, they were comparatively (!) recent volcanic outpourings showing the traces of slow continuous change. In the first case I was looking at an 80,000,000 year gap in the record, in the second, at the signs of a hundred thousand years of continuous weathering. The first site is indicated by nothing more than a small information board behind a farm gate off a minor track, although it occupies a special position in the history of geology as a science. The second is visited by over 750,000 tourists annually, has its own well-appointed visitors centre, and was the occasion of a recent shameful episode of science denial. The first records events connected with the closing of an ancient ocean; the second with its reopening. The initial coarse sediments were laid down in moderately turbulent offshore conditions. Turbulent enough to mix up debris of different sizes, but not so turbulent as to erase the boundary between different sedimentary layers. Enough time passed for them to form solid rock. Then came at least one, and possibly two (remember the curve in the strata exposed on the beach) episodes of mountain building, folding the sediments so dramatically that here they are standing on end. And finally, the erosion of later deposits, exposing the sandstone and, down on the beach, the ner-vertical strata of greywacke. Here and elsewhere, Hutton had discovered confirmation of deep time; conclusive corroboration of his views that the Earth was many millions of years old; indeed, as far as he was concerned, indefinitely old. For over 100 years, we have been able to do something that Hutton could only dream of, and determine the actual age of the rocks using radiometric dating. This is not quite so straightforward an exercise as the textbooks sometimes pretend. Relative ages were worked out in the nineteenth century, using the principle that generally speaking, younger rocks lie on top of older rocks, and what are known as index fossils to cross-match strata deposited around the same time in different locations. 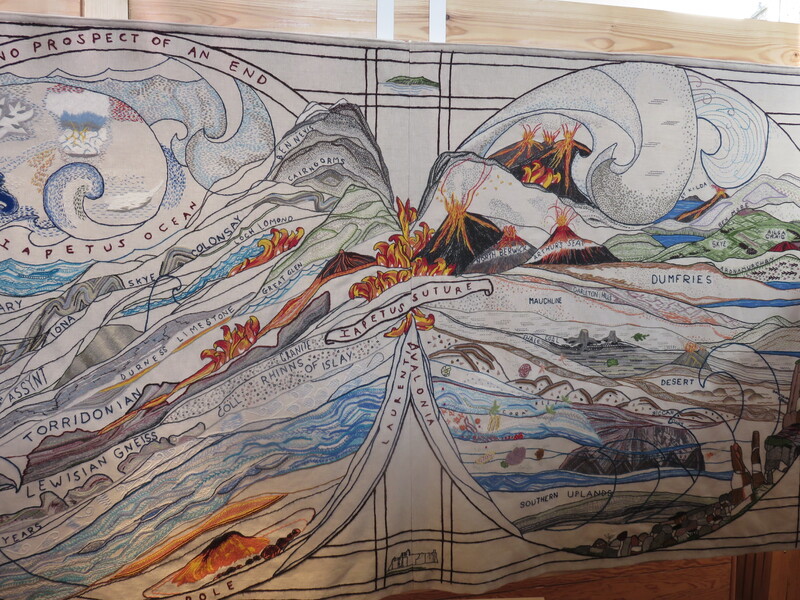 This use of index fossils goes back to the work in the 1810s of William Smith, who produced the world’s first geological map. Finally, the scale is made absolute by the radiometric dating of rocks formed from the melt, such as volcanic ash deposited between strata, or basalts or granites that have forced their way up through them. In this way, we can date the lower coarse rock as some 425 million years old, placing it in the epoch we now call the Ordovician, while the upper rocks are Upper Devonian sandstone, some 80 million years younger. Hutton lived in Edinburgh, and was a member of the movement known as the Scottish Enlightenment. He would have known and frequently conversed with such other members as the mathematician John Playfair, who accompanied him to Siccar Point, the chemist Joseph Black, the engineer James Watt, and the economist and moral philosopher Adam Smith. None of these would have had any difficulty in discarding Bishop Ussher’s bible-based creation date of 4004 BC. By Hutton’s time, even the churches were moving beyond such a restrictive chronology, and clergymen such as Buckland and Chalmers were to play a major role in the nineteenth century development of modern geology. Like other members of this movement, Hutton combined intellectual and practical interests. His original training was as a lawyer and physician, but after inheriting a farm from his father he became interested in the land itself and what lay underneath it. He was also a shareholder, director, and what we would now call scientific adviser to the Forth and Clyde Navigation Company, which in 1790 completed the Forth and Clyde Canal. The activity of canal building, like that of railway construction the few decades later, involved cutting through surface soil and the rock directly beneath it, exposing successive layers, and Hutton realised that, generally speaking at least, the younger sediments were younger than the platform on which they rested. Hutton also formulated the principle of uniformitarianism, according to which the processes that we observed that work at present are the key to those that will work in the past. For a while there was a perceived conflict between such uniformitarianism, and the alternative doctrine of catastrophism, according to which the Earth had been shaped by sudden and dramatic events, but by 1865 T.H. Huxley was able to tell the British Association that these views had been fully reconciled. The laws of nature, and the kinds of process responsible for geological change, have indeed been strictly uniform over time. As for specific features, this overall long term uniformity is interrupted by episodes of local catastrophically intense activity. So we have uniformity of process, but uniformity of rate only applies if we paint with a very broad brush indeed. THE form and constitution of the mass are not more evidently calculated for the purpose of this earth as a habitable world, than are the various substances of which that complicated body is composed. Soft and hard parts variously combine, to form a medium consistence adapted to the use of plants and animals; wet and dry are properly mixed for nutrition, or the support of those growing bodies; and hot and cold produce a temperature or climate no less required that a soil. Insomuch, that there is not any particular, respecting either the qualities of the materials, or the construction of the machine, more obvious to our perception, than are the presence and efficacy of design and intelligence in the power that conducts the work…. IT is not only by seeing those general operations of the globe which depend upon its peculiar construction as a machine, but also by perceiving how far the particulars, in the construction of that machine, depend upon the general operations of the globe, that we are enabled to understand the constitution of this earth as a thing formed by design. We shall thus also be led to acknowledge an order, not unworthy of Divine wisdom, in a subject which, in another view, has appeared as the work of chance, or as absolute disorder and confusion. Superficially, this may seem to resemble the viewpoint of the present day Intelligent Design (ID) movement, but the reality could not be more different. ID invokes the operation of a designing intelligence as a sufficient explanation for natural phenomena, passing over the obvious fact that design is nothing without fabrication. This reduces the Owner of the intelligence to a worker of arbitrary miracles. For Hutton, as for his contemporary Paley, Divine wisdom was evident in the fabric of the world, as shown by the perfection of its natural operations. Thus there was no conflict between science and religion, because science was in itselfsomething approaching a religious activity. This belief in design was inseparable from the search for explanations and the enlargement of our understanding. ID, in contrast, seeks to enlarge the domain of the unexplained, so as to have more occasion to invoke the operation of an intelligence, and therefore sets out to denigrate the understanding that we already possess. So it is no accident that a newsletter addressed to the ID community goes by the name of Uncommon Descent, and endlessly rehashes arguments about evolution dating back to the 1860s. If Hutton could have known of the concept of evolution by natural selection, he would have embraced it with enthusiasm. From Hutton’s starting point, certain things necessarily followed from his premises and daily observations. As a farmer, he knew that soil eroded, and therefore on his theory must be replenished. This could be accomplished by the weathering of rocks, but that also is a process that could not continue indefinitely. And so he was led to the concept of a cyclical Earth, in which the eroded soil gave rise to sediments that were consolidated, in his view by the action of heat, and then experienced uplift, again by the action of heat, thus completing the cycle. 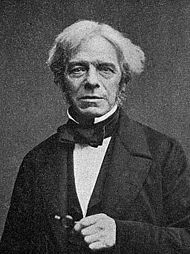 Hutton was very taken with the concept of natural cycles, perhaps under the influence of his friend James Watt, who completed the steam engine’s cycle by adding a condenser. Thus he drew analogies between his rock cycle, the Newtonian cycling of the planets, and even the circulation of the blood. What, then, was the force that folded and buckled the Ordovician strata? 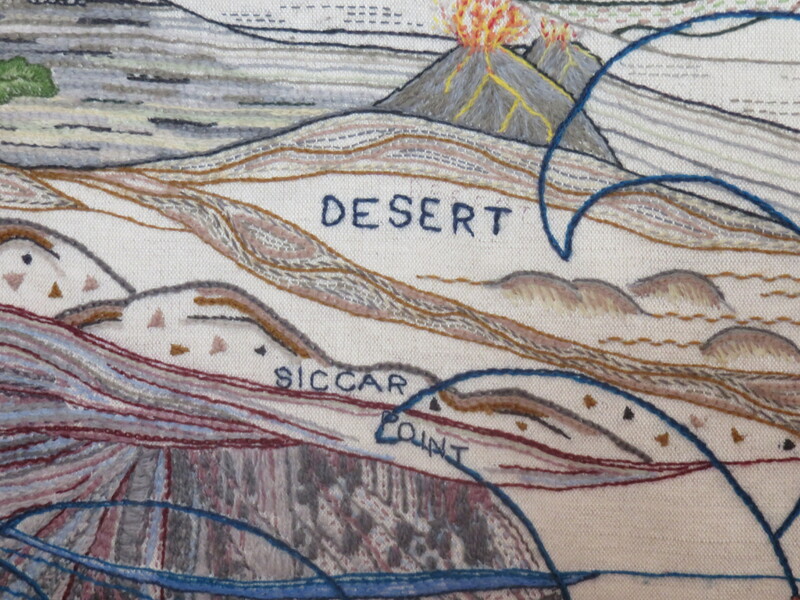 To understand that, we had to wait until the twentieth century, and the emergence of what we now call plate tectonics, generally accepted by geologists only in the 1970s, although, as I have already explained here, the prescient Arthur Holmes had correctly described the process decades earlier. Convection currents in the Earth’s mantle drove two great plates together, closing the ancient ocean that we call Iapetus, a precursor to the modern North Atlantic. This collision deformed the rocks that make up the crust, throwing up a range of mountains as high as the Himalayas, whose remnants now stretch from the Appalachians across the Southern Scotland Uplands to Scandinavia. Here at Siccar Point, the folds were then worn down flat over tens of millions of years, and eventually fresh material was deposited to form the upper sandstones. Much, much later, the movement of the plates was to reverse itself as the convection currents shifted, reshaping the globe to its present form, and this will be the subject of my next post. I thank Keith Montgomery, of the University of Wisconsin Marathon County, and the Rev. Michael Roberts, F.R.Hist.S., for information about Hutton and about geological opinion in the 19th century churches, respectively. Portrait of Hutton by Sir Henry Raeburn, via Wikipedia. Photographs of Siccar Point, and of the Forth and Clyde Canal near Falkirk, by the author. An earlier version of this piece appeared in 3 Quarks Daily. Excellent article by my friend Jonny Scaramanga. official guidance to bar the presentation in Scottish publicly funded schools of separate creation and of Young Earth doctrines as viable alternatives to the established science of evolution, common descent, and deep time. And that the person spreading this damaging misinformation about us is the Moderator-Elect of the free Church of Scotland, heir to the great Henry Drummond , who a century ago embraced evolution as evidence of God’s creativity, and warned against the God of the Gaps on whom today’s anti-evolutionists so heavily rely. Tomorrow, the Scottish Parliament’s Petitions Committee will be hearing from members of the British Centre for Science Education (BCSE) and Scottish Secular Society (SSS). Earlier this year, the SSS started a petition urging the Scottish government issue guidance on the teaching of creationism in schools. In England and Wales, there is clear guidance that creationism and Intelligent Design are not valid scientific alternatives to the theory of evolution, and should not be taught as such. In Scotland, there is no equivalent document. On the eve of the Scottish Secular Society presentation on teaching to the Scottish Parliament Petitions Committee, Rev Michael Roberts spells out why defending science against evolution denial is such an uphill task. People will go to the stake (literally), rather than renounce the beliefs that define their identity. So what is the way forward? Telling them they are stupid or ill-informed (some are, BTW, some aren’t) does not strike me as a promising strategy. Why do so many Christians believe in Creationism when it runs counter to almost all of science and is seen to be nonsense, and even dishonest, by non-creationists, whether Christian or not? I see that your blog directs readers to write directly to David Stewart MSP. Is there any chance that you could amend it to direct folk to petitions@scottish.parliament.uk? That way, your readers will be writing to the Committee rather than an individual Member. It would also take away a step or two and speed up the process this end. I have therefore amended the earlier blog post as requested. If you have already written to the Convener, as I originally suggested, no harm done and you need not do anything. I apologise for my poor knowledge of parliamentary etiquette, which I will be more careful about from now on. Yes, it’s true. 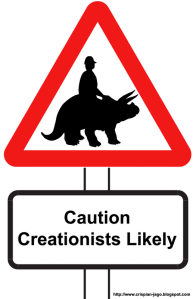 We dangerous radicals at Scottish Secular Society are petitioning the Scottish Government to protect our schoolchildren (and our teachers) from those who want to present separate creationism and Young Earth doctrines as valid alternatives to the established science.And we do have Nobel Laureate backing. And AiG is attacking us for it, not once but twice. And if you think we are right to do so, please let the Petitions Committee (and if you live in Scotland, your MSPs) know about it (see here for contact details and suggestions). There is still time to help, wherever you are. Separate creationism and the ultimate lunacy of YoungEarthism have gone international; the resistance will be stronger for doing likewise. A special plea to those of you who live in Scotland. The science deniers are a constituency. We need to show that science lovers are a constituency too. Let your MSPs, both constituency and regional, hear from you. And let me know what they say in return. Ken Ham: I have emphasized over and over that we are in a war and the battle is for the hearts and minds of our kids and news coming out of Scotland only confirms this.